Are you considering office locking mailboxes? Millions of office buildings around the world are operating their mail service by giving each employee a small cubby hole for their mail receiving. While this may have been very effective thirty years ago, today’s employees often receive confidential and time sensitive materials they’d rather not share via community office mailboxes. Therefore, modern office locking mailboxes are a key element for a successful business. You will have secure receipt of important documents and mail delivery will be easier. 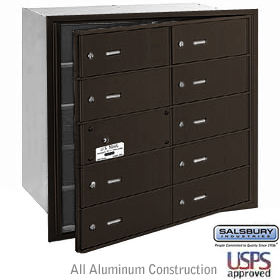 If inadequate space is an issue, consider installing a horizontal mailbox. Mounted to any wall and including numerous small mailboxes, they can easily give each employee a box of their own. These have locks to keep all the materials inside both safe and private. Businesses who receive large packages or bulk mail may want to consider a vertical office mailbox system. These office mailboxes can easily be mounted to a wall or poll and allow more space to users. They can be locked for security you required like horizontal mailboxes and can be provide easy access for delivery. Consider horizontal or vertical office mailbox systems if your business is growing, and your employees need more mailboxes. To determine which will best fit your needs, think about the amount of mail your employees get each day and the size of the mail. Then think about the location you have set aside for mailboxes and consider which type would fit best in your chosen area.